For telecom service providers, automatic top-up is the secret sauce for getting the most value out of those who really help build profits: repeat customers. The benefits are countless. From a longer customer lifetime value to higher Average Revenue per User, increased customer satisfaction and reduced customer churn. Read all about it! 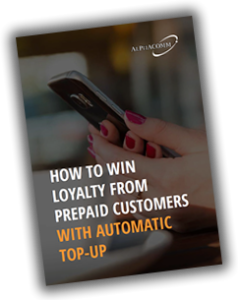 Submit this form to download the whitepaper “How to win loyalty from prepaid customers with automatic top-up”.